With school underway, I asked my eight-year-old son this week if he had any interest in learning guitar. He said he’d prefer the piano. I was pleased, but hesitant. I had my own stint with after-school piano lessons at age eight — plinking out notes from classical pieces that were foreign to me. My progress was agonizingly slow and I gave up within months. Music education hasn’t changed fundamentally since the 1970s. Students are still taught to read notation so they can recite compositions that they would never listen to on their MP3 players or play with friends. The four “streams” in music education — orchestra, chorus, marching band and jazz band — have remained constant for four decades, while a third generation is growing up listening to rock and pop music. And my experience as an eight-year-old is all too common. Many children quit before making progress with an instrument, then regret it as adults. Others play violin or trumpet for the school orchestra or band, then drop the instrument after graduating from high school. This is a loss for all. Playing music enriches life. That’s why so many adults wish that they could play an instrument, particularly guitar or piano, which are ideally suited for playing with others. The question is: Why do schools teach music in a way that turns off so many young people rather than igniting their imagination? Adolescents and teenagers are crazy about popular music. At a time when educators are desperate to engage students and improve school cultures, can we do a better job of harnessing the power of music to get kids excited about school? Brian Gellerstein Elementary school students from the Bronx tested new guitars that Little Kids Rock donated to their class in Sept. 2008. 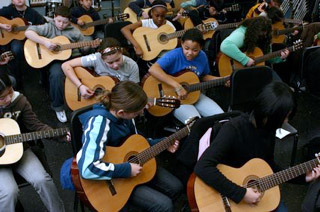 On the first day of class, Little Kids Rock teachers place guitars in the hands of their students and get them practicing chords that will enable them to play thousands of songs. 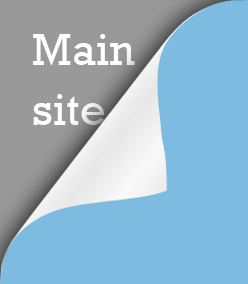 (Many simple lessons are freely available online.) The kids decide what songs they want to learn and the class is off and running. Their progress is remarkable. Within a year, eight- and nine-year-olds are playing electric guitar, bass guitar, drums and keyboards, and giving concerts, even performing their own songs. And the effect is predictable: the children can’t get enough of it. Before launching Little Kids Rock in 2002, Wish spent 10 years as a first and second grade teacher in public schools in low-income communities in the San Francisco Bay Area. Many of his students had little structure or supervision out of school, and they would often get into trouble. He decided to start an after-school guitar program. He got instruments donated and started one afternoon a week. Within a year, he was giving classes before and after school, five days a week, and still had to turn away children for lack of space. That bothered him, so he got the idea to recruit some of his musician friends to teach additional classes. “That idea failed miserably because they had no classroom management skills,” he recalled. That’s when he saw that it would work better if he focused on training experienced teachers. 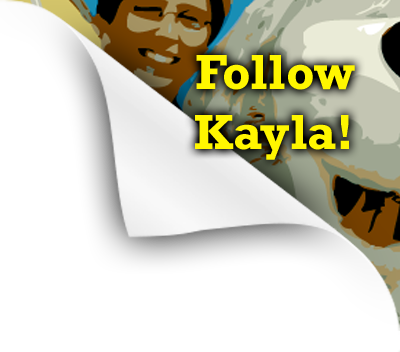 Like many nonprofit organizations, Little Kids Rock’s main constraint is resources. Significantly, one problem the organization doesn’t face is drawing teachers. Its trainings frequently attract many more applicants than available slots. Teachers volunteer their time to attend trainings, which are often held over weekends. The trainings are popular because they provide simple and practical methods to get high levels of participation from students. There is one barrier to overcome. Every art teacher has drawn a picture, but many music instructors have never composed a song, so they may have no clue how to teach children to do it; they may not even believe their students can do it. In trainings, therefore, every teacher has to write a song, perform it, and record it for the other teachers in the room — all in 30 minutes. 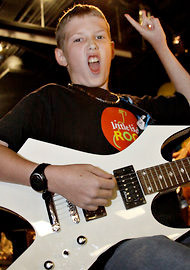 Timmy Schneider, 10, makes a rock star face during the Little Kids Rock Jam Summit in Dallas in May 2010. We do a disservice to children when we force them in school to learn jazz or classical music because we think it’s good for them. Too often, rather than creating an entry point for a life of music appreciation, this approach tends to weed out those who don’t make an immediate connection with the music, or don’t have parents who force them to stick it out.